We plan to take out the rocks and use greywater to water our backyard. Glancing at the sweet Tree of Life Valentine card Dan gave me, brings to mind how we have grown together in the past two years. The Tree of Life represents our connection to each other, our community, and the planet. After giving up on internet dating, I found Dan on Facebook. There were pictures of him mentoring teens in robotics, gazing fondly at his 3D printer, and painting the walls at CoLab workspace. I was impressed by how he was trying to do good in the world, so I asked him for a tour of CoLab. He rushed by me sweating profusely from riding his bike. After showing off CoLab, he offered to give me a tour of “his downtown” – Maker House and Xerocraft. We settled in the courthouse courtyard and talked for 6 hours. I told him about my creative boys, my screenwriting, supporting local filmmakers by organizing film events, and writing reviews of meaningful films. He told me in no uncertain terms that he wasn’t interested in dating. 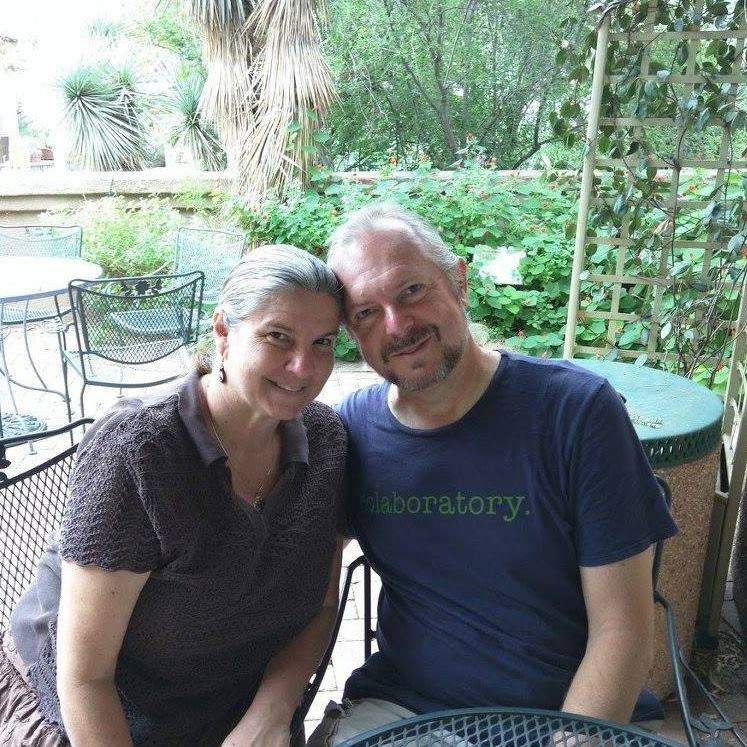 He came to Tucson so he could live inexpensively while working on his many humanitarian projects. The one that was dearest to his heart was “The Pineapple Project” a computer program that would allow subsistence farmers worldwide to use their cell phones to find out what was best to plant on their land. That's Gary Nabhan there. We're big fans. When we got together a few days later (yeah! ), we struggled with finding time for us and all his projects. We are still working on finding the right balance. 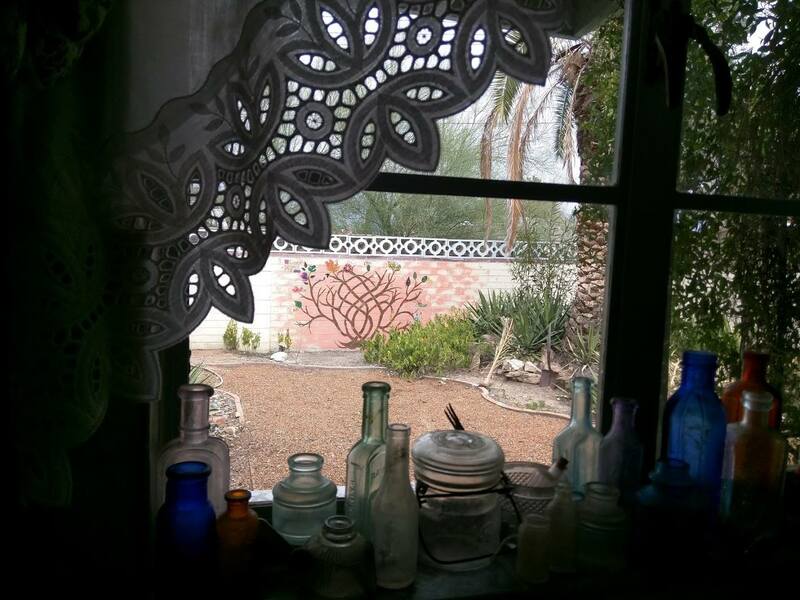 Dan soon discovered that he needed to apply his program closer to home, so “Sonoran Gardener” was born. Combining my interest in film and his in sustainability, we have gone to just about every sustainability or environmental movie event in Tucson! 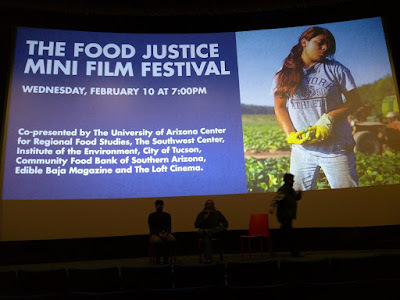 I even found ways to discuss environmental issues in my movie reviews at Reel Inspiration. While I have always recycled and have never driven, I am grateful to Dan for introducing me to sustainable living. It has added so much to the quality of our life together. In addition to not owning a car, Dan makes his own bread (lucky for me and the boys) and we are experimenting with planting heritage foods and edible weeds. (That’s right! Weeds!) 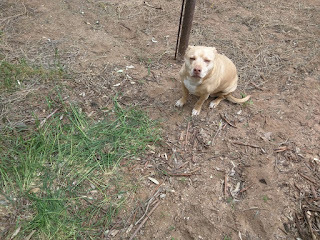 The heritage Sonoran winter wheat is growing nicely, but the only one who has eaten any of it is “The Poo,” Dan’s dog. 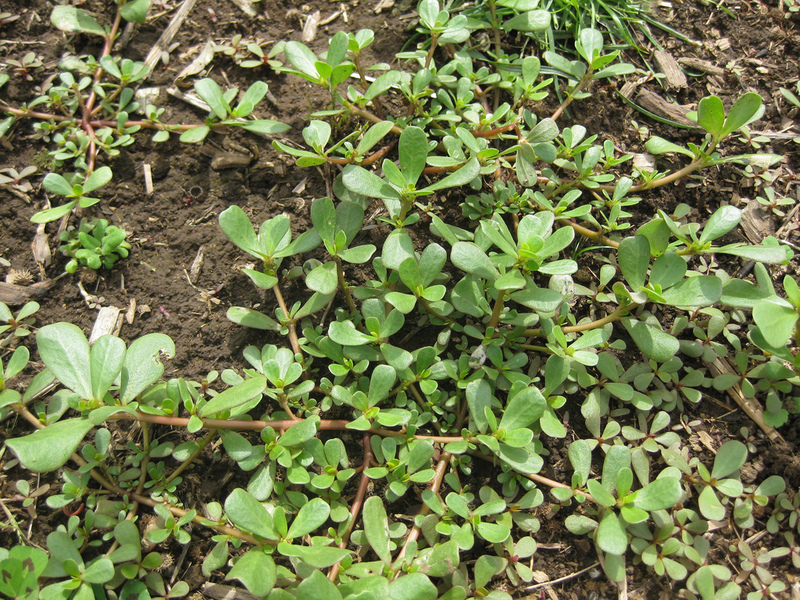 We did enjoy some purslane that was growing behind the neighbor’s fence. (I found a yummy Mexican recipe for a green sauce made of tomatillos, garlic, onions and serrano chiles!) 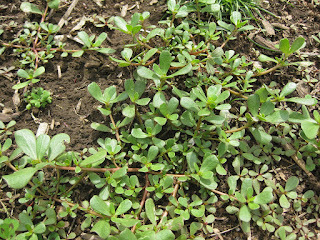 We even tried planting purslane and some wild amaranth in our garden. We may be the only ones who purposefully plant weeds in our garden! Sometimes our environmental efforts conflict with each other. We would like to shop local, but not having a car makes it very time consuming to get to the farmers markets on the far end of town. We do cook some heritage foods that we purchased at Native Seeds: like Tohono O’odham tepary beans. (Those stubborn little beans took over 24 hours to cook after soaking overnight! ), and mesquite flour pancakes with prickly pear syrup. (Yum!) 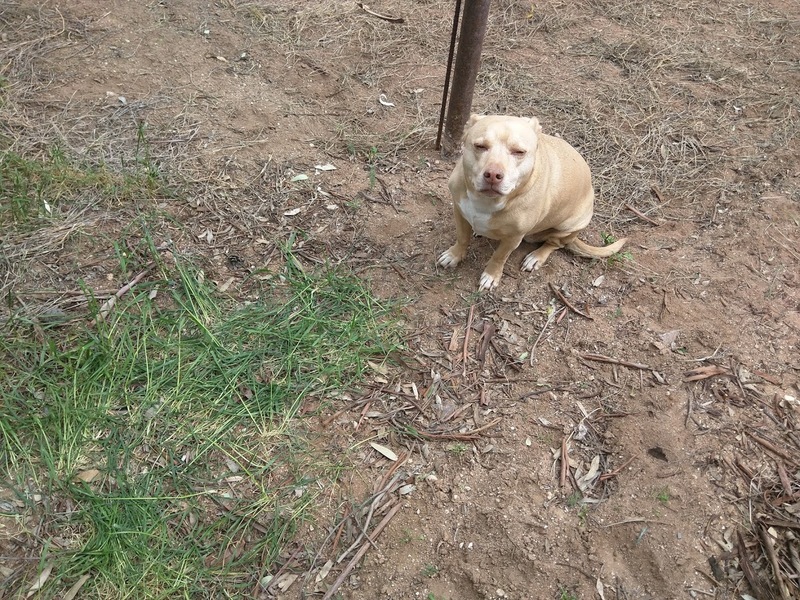 Dan would like to harvest his own mesquite beans, but they always fall to the ground before he gets to it. It’s hard being a programmer/gatherer! Dan and I are great partners in living sustainably. Though we still struggle with developing daily habits. I squawk at Dan for leaving the water on while he reaches for a fork, “We live in the desert!” I have learned to turn the water off while brushing my teeth! But I still kick myself for forgetting to bring the reusable grocery bag to the store. We have found new ways to water our Tree of Life. Dan introduced me to the Watershed Management Group. We started with a lovely neighborhood tour. 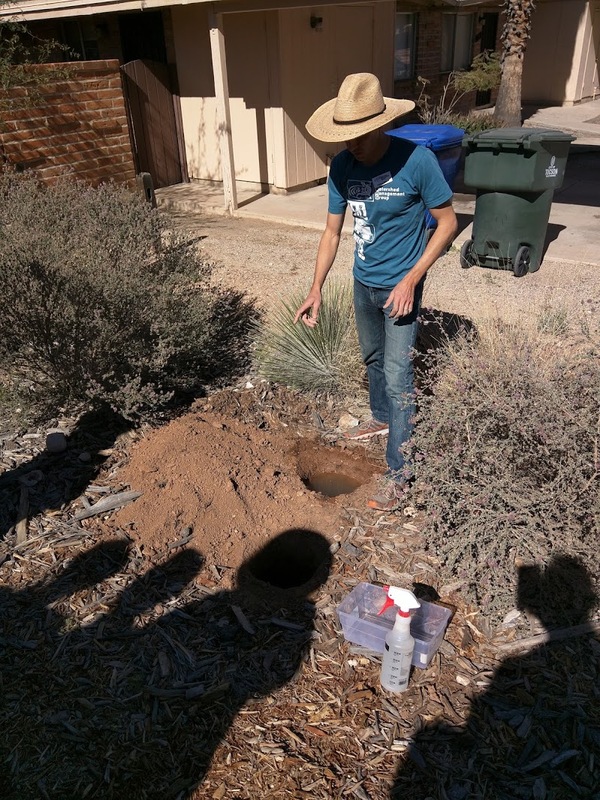 And we recently attended the Rainwater and Greywater harvesting classes. We are excited to redesign our yard so we can use washing machine water on our landscape. It’s sure to be hard work, but fun too!